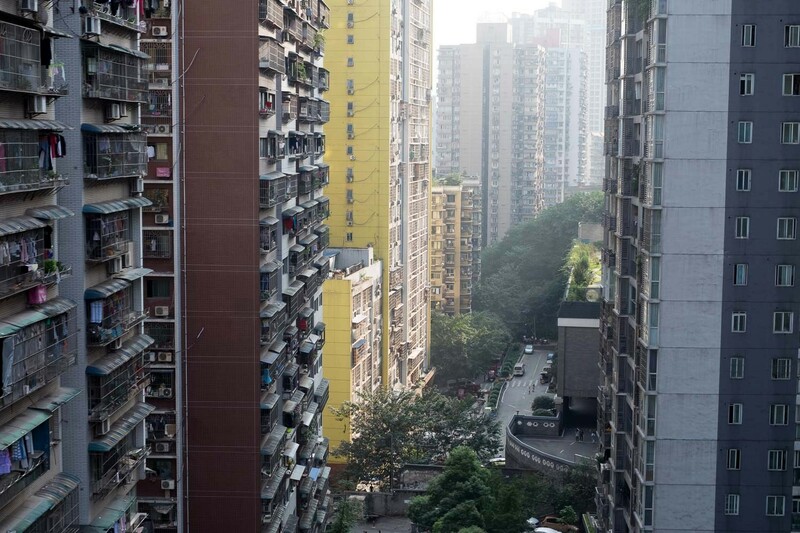 Is Sydney in the midst of Chinese food golden age? Hunt around and you'll find dishes exactly the same as they are in China, our trip to Chongqing late last year really drove this home. 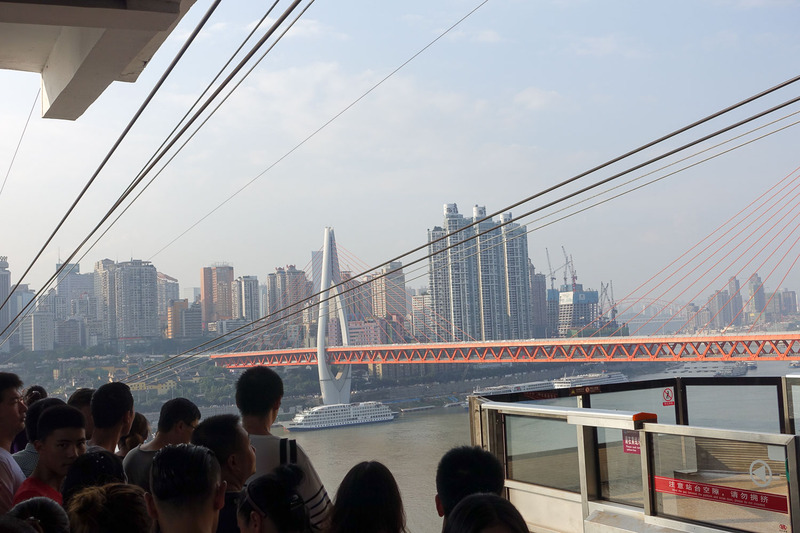 Chongqing in South-West China is an eye-popping monster of a city of 18 million souls, 30 million if you include the boondockers. The city centre reminds us of Hong Kong Island - steep hills, forests of towering apartment blocks, and throngs of people - old and new China living on top of each other. 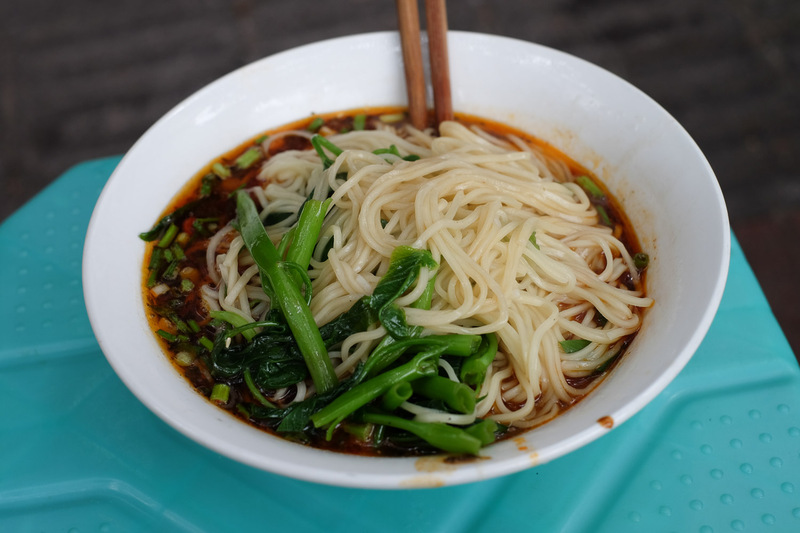 Our main reason for a trip to Chongqing was the legendary spicy food - the most common dish we found was Chongqing Noodles, which we quickly learned from resto spruikers, the locals call Xiao Mien. This is a dish that lives up to it's reputation - it's a bowl of plain noodles made sensational with a fiery hot, spicy and oily soup/sauce. We figure it developed as a way to make a bunch of plain noodles something sensational. We found the the fixings and broth changed a bit from resto to resto but the essential core flavour stays the same. 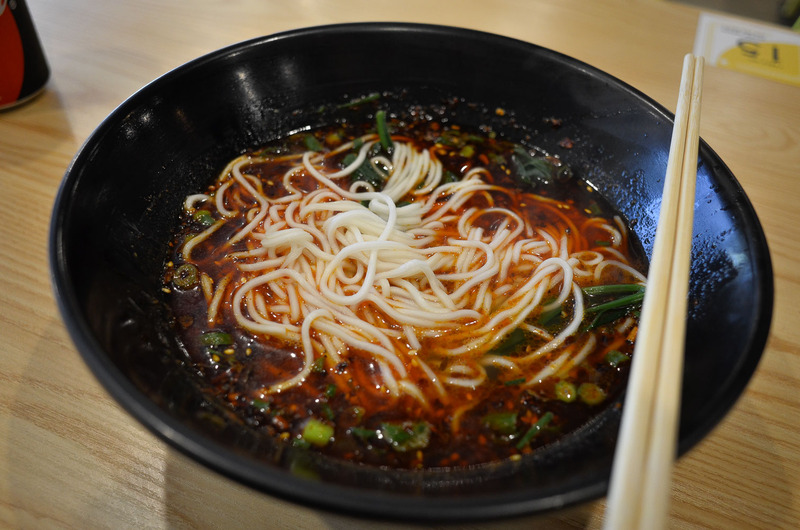 When we returned to Sydney we were curious to see how close Sydney's Chongqing noodles are to the original. Unlike many dishes/cuisines that we try overseas and are disappointingly whitewashed or just not-quite-the-same in Australia - Chongqing noodles in Sydney taste pretty much the same as the original. We're ecstatic. The noodles are cooked al dente and slurping them up coated with spicy and umami takes us right back to roadside China. It's an overseas holiday for eight bucks. 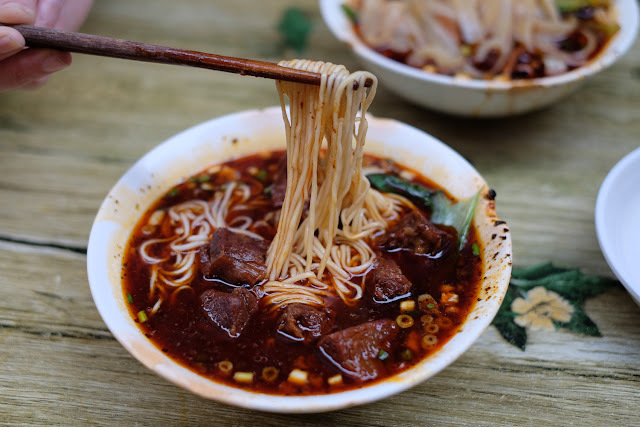 The resto we keep returning to for our Chongqing noodle fix is Into Noodle in Ultimo/Broadway, a secret spot only known by us, you, and several thousand homesick Chinese students from nearby UTS and Sydney Uni. Into Noodle was called Broadway Noodle not so long ago - if the management has changed along with the name, the noodles seem just as good. 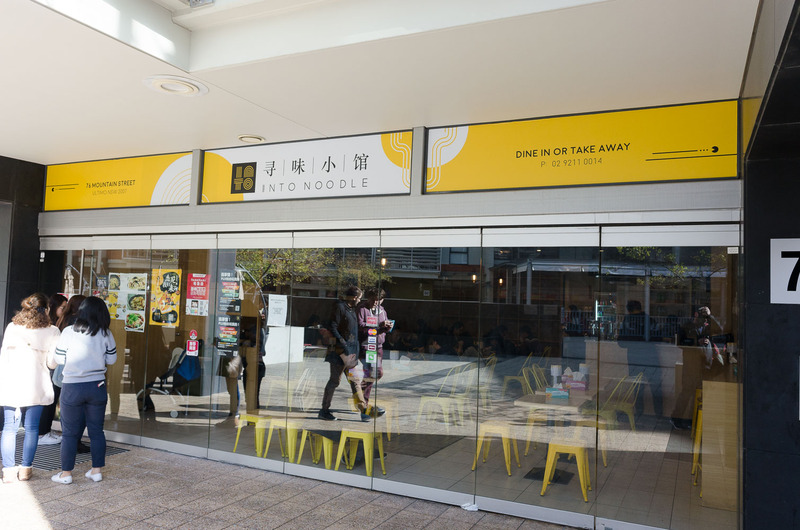 Into Noodle is in The Quadrant, 74 Mountain Street, Ultimo - that hidden little courtyard area off Broadway, best known as the home of the legendary Malacca Straits.